Aboa Mare invites you to visit an open house on 10 February 2018, between 10am and 2pm. Aboa Mare provides training for mariners, engineers and officers at the Novia University of Applied Sciences and Vocational Institute Axxell. Aboa Mare provides a variety of professional training services at the Maritime Training and Academy Center. Viking Grace is a passenger and car ferry operating along the Turku - Aland Islands (Finland) - Stockholm (Sweden) route on the Baltic Sea. The Port of Sabetta is a new seaport under construction on the western shore of the Ob Bay in the Yamal Peninsula of Russia. Aboa Mare has published 'Aboa Mare 200 år' as a documentation of Finland’s oldest vocational training, master training in Turku. Aboa Mare has met the maritime industry’s training needs and offers Basic and Advanced training for mariners working on board vessels subject to the Code of Safety for Ships using Gases or other Low-flashpoint Fuels (IGF Code). Aboa Mare's state-of-the-art simulation technology is used to simulate the Norsepower Rotor Sail Solution for the first time on a ship of Viking Grace's size. 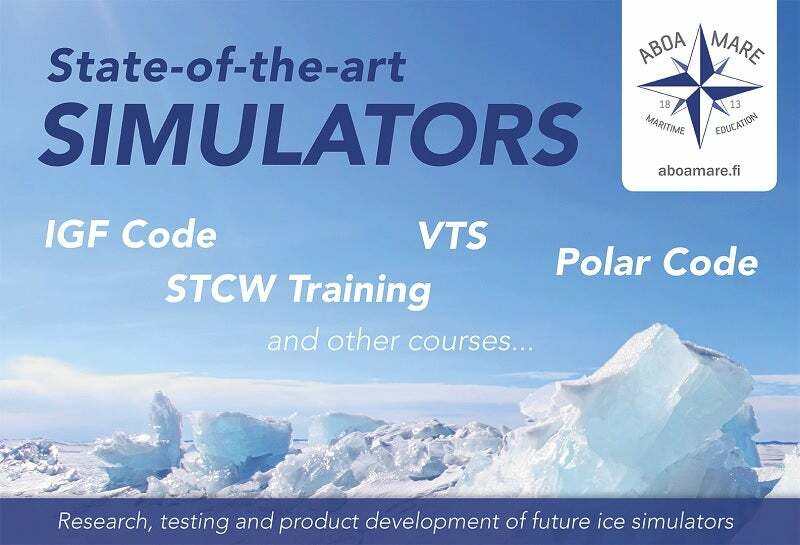 Deck officers and captains from Maersk Line participate in a series of Ice Navigation training courses at Aboa Mare in Turku, Finland.